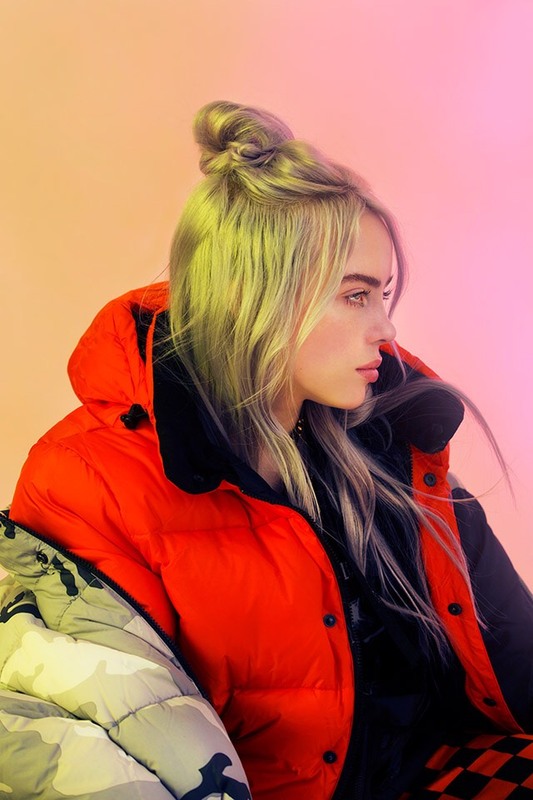 Billie Eilish is a 16 year old phenomena. She was born and raised in always sunny Los Angeles, which is hard to believe with her plethora of oversized jackets and hoodies. Her style has become one of its own; with layers and monochromatic vibes. At the ripe young age of 14 she started recording her 9 song EP with her brother, Phineas O’Connell, actor and frontman for his own band, “The Slightlys”. Her voice, both raspy and delicate, takes your ears on a journey through the melodies of heartbreak and sadness. A girl who is so young tells the tale of a woman who is wise beyond her years. Her EP dont smile at me sums up the aesthetic Billie portrays and maintains. There is a type of angst uncharacterized by no other than her. There is something deep and fiery in the passion she uses to sing every note. Even if you aren’t heartbroken you feel her pain, even if you aren’t sad you feel her melancholy and even if you don’t have an ex you will want to smash that one guy’s car window in. dont smile at me, a compilation of stories. The EP intros with “COPYCAT” where Billie reminds all her friends and enemies that although they may think she’s cool that copying her only makes you a lame clone. “idontwanttobeyouanymore” is the following track where she discusses all of her insecurities and the media’s representation and misconceptions of women. This song is a juxtaposition of the confident almost arrogant Billie in the first song. Following is “my boy” which about her dude who is lying and can’t be trusted. Lyrically the song is quite comical comparing “her boy’s” friends to split ends. The song watch sings of unrequited love that burns so much she becomes vengeful and wants to see his car catch fire as well. “party favor” is a sweet melodic song accompanied by a ukelele, although it may sound endearing, it is quite the opposite. She decides to call “this boy” and break up with him through voicemail on his birthday. It may seem harsh, but from the looks of it maybe it is rightfully so. Followed up by “bellyache”, once again a song where a sweet melody might fool you. The song reminiscent of the song “garbage” by Tyler the Creator. This song vastly different from the previous songs of love this ones different darker… if possible. A ruthless song that you can’t get out of your head and you won’t be able to stop singing. The end of the EP ends sweeter and makes you remember that Billie is a 16 year old girl yearning for love just like the rest of us. “ocean eyes” and “hostage” speak of nothing but the desperation of innocent love. This album will make you feel everything. You can listen to dont smile at me below, and follow Billie Eilish on Twitter, Instagram, Youtube. And be sure to visit her website here. A rapper eating elote in a palm tree, interesting camera movements, Jay Rock in a suit; these are just a few of many interesting aspects that make this new King’s Dead music video alluring. In light of the new Black Panther Soundtrack Album that this track makes an appearance on, one would think that the music video would cater towards the release of the new Marvel film. Alas, the music video takes on the cadences of a normal rap video with little changes of details here and there, but does little to make itself a groundbreaking music video that Kendrick Lamar has had in the past with HUMBLE, Swimming Pools, and Alright. Women, money and expensive clothing should be expected going into the video, and those are some of the first things you’ll see when Jay Rock has his verse early on in the song. Switching between old school VHS style recordings and tracking camera movements sweeping across the setting of the video does help enhance the understanding of this music video. Respect for the individuality of the director, Dave Free and Jack Begert, and what they try to accomplish here. They do much to keep the video interesting with the style and quick cuts here and there. Plus, the zoom of the main rapper trio on different skyscrapers is really impressive, as the buildings are lined up perfectly to keep the same sweeping and zooming theme perfectly fixated within the video. And later on, where Kendrick Lamar is within the traffic intersection, is also a high point for the video as Kendrick’s verse is very fitting amongst the speeding cars that whiz by. The direction of the video is good where it needs to be, and so the video was entertaining to say the least. Jay Rock was by far not the worst verse on this song, as Future should take that honor. At first, Future and Kendrick do well together in starting the chorus off, but as soon as Future hits the weird sounds he makes in the middle of the song, it does well to put a dumb smile on my face. There is no way to take Future seriously when he starts making those silly noises, and I say silly noises as it doesn’t even come close to rapping. All praise to Future for trying something different, but the fact that in the video he is keeping a straight face only emphasizes the ridiculousness of his feature. In the end, it would be K-Dot that keeps the team on his pack for this one. His chorus and his final verse make up for the quality lost in the song, making the song at least structured and something to look forward to towards the end of the song. Nearing the end of the video the viewers can also see Kendrick put up a fight in what appears to be a drug deal, which Kendrick ultimately kills the dealer and for a brief moment the words, “(don’t trap),” blinks in a black background for half a second. Kendrick’s allusion to living a fast life and enabling the fictitious character that is Killmonger in the new Black Panther film does well to paint a good message in the song. Overall, the song does not hold up well on its own, and the video can really only be as good as the song. This should not take away from the young directors, though, as there were many promising moments in the video that could be of use in their future. J. Pike, otherwise known as Josh Pike, shares a hard-hitting, floor-rumbling single off his similarly named Powerhouse EP. “Powerhouse” is the punch in the face that you did not know you wanted, nor needed. All techno- and house-heads will want to hear this one. Complete with a killer build and dynamic drop, I am stunned and excited that his upcoming EP will contain four more songs that further display his mastery of production when this song alone really does it for me. Cover art by Tiffany Javier. Both as a listener and longtime friend, I am eager for the release of the entire Powerhouse EP this Friday 2/23 and am confident that Josh will deliver. Stay tuned for our interview with J. Pike also on Friday for the next episode of Inside the Music from 5-6 PM here on Wolf Pack Radio. Listen for yourself below to “Powerhouse.” You will want to make some room to dance those pants off as you do, trust me.